Not all knee pain is created equal. We are constantly seeing stories in the news about professional athletes with knees problems. Most of the time the footballer has slid, tackled and ruptured their ACL (anterior cruciate ligament) or the tennis player has torn their meniscus. So it's no wonder many of the patients I see in the clinic believe these are the reasons behind their knee pain. However, ruptured cruciate ligaments and torn menisci are fairly rare in the general population. Knee pain is not. The knee joint is a complicated, yet very stable joint and works as a function of both the spine/hips and the foot/ankle. Osteopaths will always examine the entire "chain," to see whether your knee pain is resulting from the top down (as a function of the low back/hips) or from the bottom up (as a function of the foot/ankle). Most commonly, patients come to my clinic with knee pain that's a result of compressive forces across the joint (yup, that's physics speak!). Both the quadriceps muslces (front of the thigh) and the hamstring muscles (back of the thigh) attach below the knee, so when they are tight (which they almost always are) they exert a compressive force across the knee joint. This tightness decreases the space in the knee joint, which means the structures around the joint can rub and pinch more easily. If these muscles around the thigh and knee are out of balance, they will pull more on one side of the knee bringing the joint out of alignment. The patella - your kneecap - sits within the tendon of your quadriceps and glides back and forth across the knee joint as the quads contract. It's like a train on a traintrack and often gets 'derailed.' 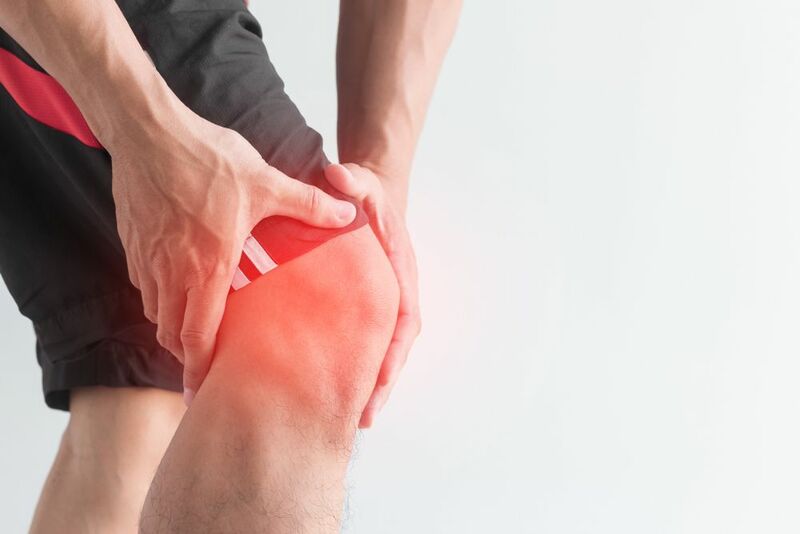 If any of the muscles around the knee (quads/hamstrings/IT band) are pulling the knee out of alignment, then the patella gets pulled off its track and can cause pain. This is called Patellar Maltracking. It is also common to strain the ligaments around the knee, without fully rupturing them. This can happen if you over extend your knee or make a sideways movement with a planted foot. Often there will be some swelling in a sprained ligament, just like if you were to sprain your ankle. Although there are many different causes of knee pain, I have outlined only a few - which are the most common I see on a daily basis. Knees respond very well to osteopathic treatment, relieving pressure, tension and tightness whilst also working up and down the chain - from the foot up to the spine - to ensure the movement and forces going through the spine are evenly distributed. Just remember, osteopathy is NOT JUST BACKS, so next time your knee is niggling, perhaps call your osteopath to see if they can help. We are amidst summer holiday season, but don't let a bad back spoil your hard-earned break. Back pain on holiday is very common. Instead of activities like biking, kayaking, tennis and walking trips being the culprit, the biggest cause of holiday pain is lack of activity and an already stiff spine. Mobilising the spine and a few simple exercises are often enough to prevent back pain from spoiling your holiday. Make sure you keep moving on holiday...go for a morning walk or swim and keep moving throughout the day. Your spine will thank you. 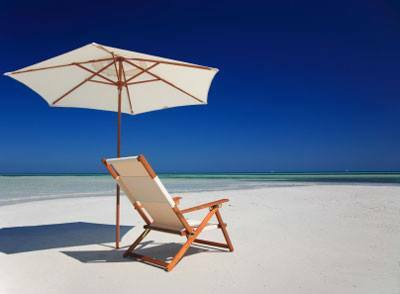 If you spend a lot of time on a sunbed, make sure you vary your position frequently and also switch to a chair. Avoid laying on your front for too long, as this can aggravate your spinal joints. Hotel beds and poor mattresses are a major source of back pain. If the mattress is too hard, try putting a duvet under the sheet to soften it up. If its too saggy, try pulling the mattress onto the floor. If all else fails, complain and get a new mattress! Be aware of how your carrying your luggage. Use trollies when available and make sure you're carrying bags evenly on each side of your body. Having a pre-holiday check-up can go a long way in preventing a recurrence of back pain. Pack well in advance to avoid the stress and place the suitcase at a suitable height to reduce bending. Get help lifting bags and bend from the knees rather than the waist. Use wheeled cases or buy a separate lightweight luggage trolley. Use a ruck sack rather than a hand carrier. Take an orthpaedic travel pillow. Take Omega 3 oils for two weeks before departure and whilst away. Fold a jumper behind your back for support when in a poor seat. Put a duvet under you on a hard mattress, put a soft mattress on the floor. Book a spine check with your osteopath if you are having any pre-holiday niggles. Osteopaths are experts in the human body. We use terms relating to movement, anatomy, and health in an everyday manner and forget that not everyone has the same vocabulary! It's important -- as an expert in any field -- to be able to explain your work to people that don't have the same vocabulary. So in this blog post, I'm going to define some of the most commonly used terms in an osteopathic clinic -- just in case I forget you don't know what I'm talking about! This term refers to all the muscles, tendons, ligaments, and connective tissue that hold us together. They're basically the rest of the stuff other than bones and organs. The majority of injuries that I see in clinic are to the soft tissues. As they don't show up on XRAY, this type of test won't diagnose damage to them. Damage to the soft tissues is usually diagnosed clinically (via a specialist like an osteopath) or an MRI scan. Fascia is everything in the human body!! It's the connective tissue that makes everything continuous in our bodies. In life, it's a very fluid substance and has recently been shown to help transmit nerve and sensory signals through the body. It helps all our soft tissues move and glide around with ease. If we are dehydrated, have poor nutrition or poor health, the fascia can get sticky and stuck in place. This is also the case after an injury or prolonged postural changes. So then when we do try move in a particular way, you might feel a painful pull in one area, which is usually where the fascia is stuck down. Adhesions occur in the fascia, muscles, and usually close to where these attach to the bones. If there is an trauma in the body, you will get some scar tissue, which makes the fascia less able to glide around. So these areas where the fascia gets sticky and stuck down are called adhesions. It's important to address these adhesions with osteopathic treatment, as overtime they can restrict movement of the soft tissues and of joints. Trigger Points are muscles knots. They have a nerve centre, so they can refer pain to areas of the body far away from the source. Even though trigger points seem like nothing, they can be very painful -- trigger points in your chest muscles can even mimic a heart attack! They are easy to treat and respond well to myofascial release and acupuncture needling. This is one of my favourite types of treatment. It's more than just a massage, and it works deeper on the reflex mechanisms within muscles and the fascia. It uses deep steady pressure with some rhythmical joint movements to relax muscles and help the fascia to unstick and glide with more ease. This treatment technique works to get joints moving easier. It focuses on the joint level, and uses slow rhythmical movements to increase movemet. It can start gentle and become stronger, as the body responds to the treatment and allows it. Mobilisations stimulate special nerve receptors within the ligaments, tendons, and muscles around the joint, which send messages back to the brain for improving movement. In the osteopathy world, the term manipulation is used in reference to 'the clicking' technique. The technical term is 'High Velocity Low Amplitude Thrust' and it uses a fast impulse movement to help get a joint moving. Sometimes there is an audible 'pop' which is just the release of gases from the joint space. 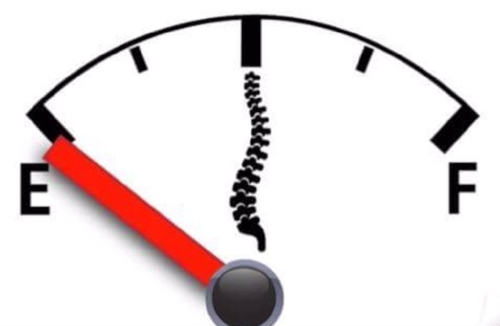 With this HVT technique, a large number of nerve signals is sent to the brain from that area of that area of the spinal cord, and this helps reset the circuits of pain and stiffness. These terms refer to how you move. Flexion of the spine is when you bend forward (as to tie your shoe), whereas flexion of the knee is when you bend it bringing your foot towards your bum. Extension of the spine is when you lean backwards (as to look up to the ceiling), whereas extension of the knee is bringing it back to straight. Rotation is when you twist, which is a very important movement in the spine -- especially in sports like tennis, golf, cricket and football. There is very little rotation in joints like the elbow and knee, but it's big in the hip. Side-bending in the spine is when you...well...bend from side to side!! In life, functional-dynamic movement occurs with all of these movements happening together, so it's important to be flexible in all directions.